Ohio is home to many volleyball teams like the Ohio Bobcats volleyball team! If you are in love with volleyball, nothing can improve your skills and give you the chance to practice in a perfect atmosphere quite like volleyball camps in Ohio can! Whether you are just starting out in the sport or are a veteran player hoping to play for pro teams, volleyball camps can help you achieve your goals. Practice fundamental skills and learn new techniques to help you excel at the sport you love. Sports Camp Connection is here to connect you to the right Ohio state volleyball summer camps that will meet all your needs. Find all the information you need about Ohio state volleyball camp here for free, start your search now! The Kent State University Women's Volleyball Camp located in Kent OH offers youth athletes an amazing opportunity to learn from top conference coaches and staff. Come experience Golden Flashes Volleyball and take your game to the next level. Request more information today! 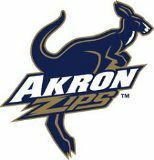 The University of Akron Women's Volleyball Camp located in Akron OH offers youth athletes an amazing opportunity to learn from top conference coaches and staff. Come experience Zips Volleyball and take your game to the next level. Request more information today! The Bowling Green State University Women's Volleyball Camp located in Bowling Green OH offers youth athletes an amazing opportunity to learn from top conference coaches and staff. Come experience Falcons Volleyball and take your game to the next level. Request more information today! The University of Cincinnati Women's Volleyball Camp located in Cincinnati OH offers youth athletes an amazing opportunity to learn from top conference coaches and staff. Come experience Bearcats Volleyball and take your game to the next level. Request more information today! Join Olympic Gold Medalist Pat Powers at VBClinics Volleyball Camps at Nothin But Net in Cincinnati, OH. VBClinics offer two-day volleyball camps for junior high volleyball players and high school volleyball players. Come improve your game at one of the top summer volleyball camps in the country! 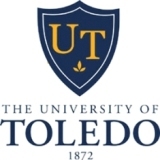 The University of Toledo Women's Volleyball Camp located in Toledo OH offers youth athletes an amazing opportunity to learn from top conference coaches and staff. Come experience Rockets Volleyball and take your game to the next level. Request more information today! The Ohio University Women's Volleyball Camp located in Athens OH offers youth athletes an amazing opportunity to learn from top conference coaches and staff. Come experience Bobcats Volleyball and take your game to the next level. Request more information today! The Miami University, Ohio Women's Volleyball Camp located in Oxford OH offers youth athletes an amazing opportunity to learn from top conference coaches and staff. Come experience RedHawks Volleyball and take your game to the next level. Request more information today!